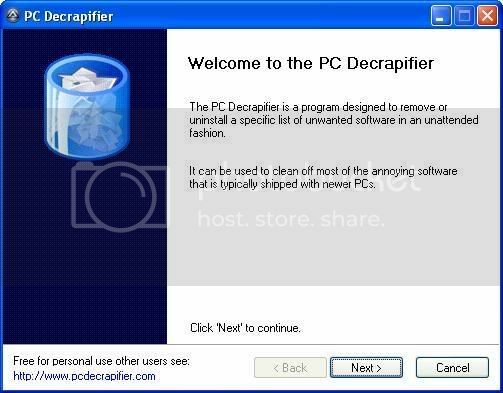 PC Decrapifier is one software that everyone must have in their pc. So what does it do? It helps you to uninstall many of the common trial wares and annoyances found on many of the PCs from big name OEMs. Here is the current list of software and items that the PC Decrapifier can detect and remove. It detects the items and displays in the form of a list. You can choose the ones you want to remove. Download PC Decrapifier and open up the zip file and run the EXE. There is no installer necessary. If you have an anti-virus software installed, it may complain about this program but don’t worry, these warnings can be safely ignored. 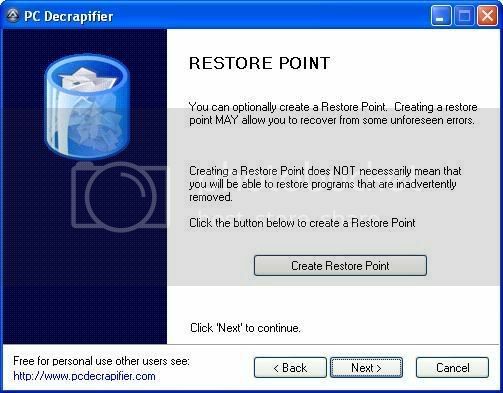 Now on the next screen select ‘Create a Restore point’ in order to enable you to restore. PC Decrapifier will display a list of all the available bloatware, you can choose the ones you want to remove and click next.